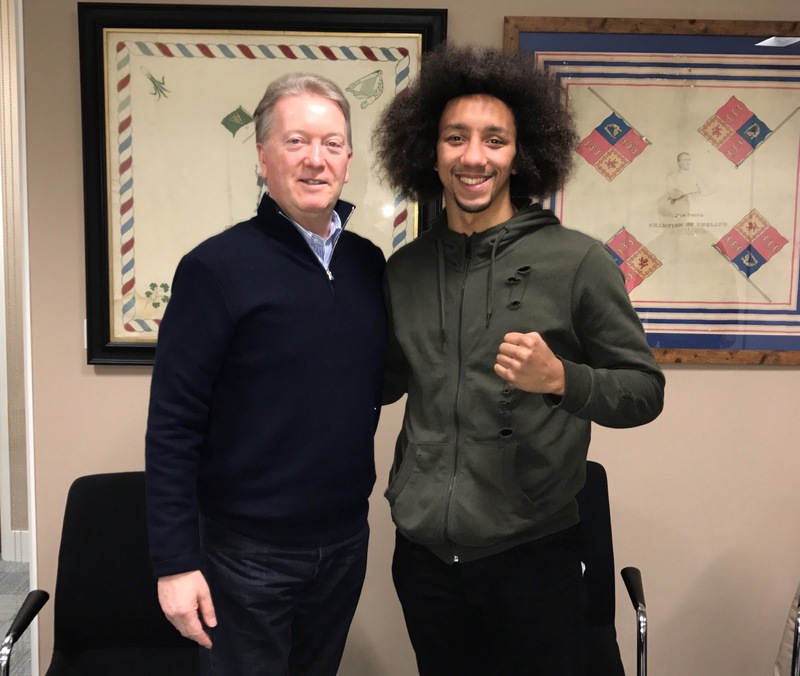 Huddersfield slickster and British Super Lightweight champion Tyrone Nurse is delighted to have signed a long term promotional deal with Hall of Fame boxing promoter Frank Warren. The 26-year-old Yorkshire ace joins with an impressive record of 34-2-1 and is looking forward to what opportunities 2017 will bring. Nurse has fought only twice in 2016, the last coming at the end of July in a successful British Title defence against Tommy Coyle. The skilful Huddersfield man is looking to have a more active 2017. “I know Frank will keep me active and I’m excited about showing everyone what I can do next year” said Nurse. Trained, managed and mentored by father Chris Aston – Nurse had some other offers on the table but elected to go with Frank Warren’s boxing nous and Hall of Fame credentials. “Yes we had other offers, but we have gone with Frank because he is a proper boxing man. It’s like he said, cut him in half and you see boxing!” said Aston. An announcement on Tyrone Nurse’s first fight under Frank Warren will be made in due course. More additions are expected to be made to Frank Warren’s growing stable of boxers in the coming weeks.